Systematic Investment Plan in Mutual Fund is commonly named SIP – is really getting popular in India. Systematic Investment Plan is such a beautiful tool, which if used properly can help you to achieve all your financial goals. Some time back we wrote “Do you really understand Systematic Investment Plan” which is one of the most popular article of TFL, but readers requested that they want to read more about basics of Mutual Fund SIP. So here it is..
We all have various financial obligations. Some of them like daily needs, school fees, etc involve the major outgo of your cash. Others like trip for your family or buying a fancy gizmo entails a one time payments for which money can be relatively easily collected. But for long term goals like retirement or purchasing a home require you to save and invest for many years. Yet irrespective of the amount involved and the time horizon, planning and investing money systematically and regularly enables you to sail through these obligations. A SIP could prove to be a simple and effective solution toward achieving these goals. A SIP is a method of investing in mutual funds, by investing a fixed sum at a regular frequency, to buy units of a mutual fund schemes. It is quite similar to a recurring deposit of a bank or post office. For the convenience, an investor could start a SIP with as low as Rs 500; however this amount may differ from one fund house to other. 1. Light on the wallet: It is easier to build a long term innings with singles than hitting 4s and 6s everytime. It is convinient to save Rs.500 or Rs.1000 every month than trying to save a lac in one shot. SIP does not hurt and it gives that long term benefit as well. 2. Makes market timing irrelevant: If market lows give you the jitters and make you wish you had never invested in equity markets, then SIPs can help you blunt that depression. Most retail investors are not experts on stocks and are even more out-of-sorts with stock market oscillations. But that does not necessarily make stocks a loss-making investment proposition. 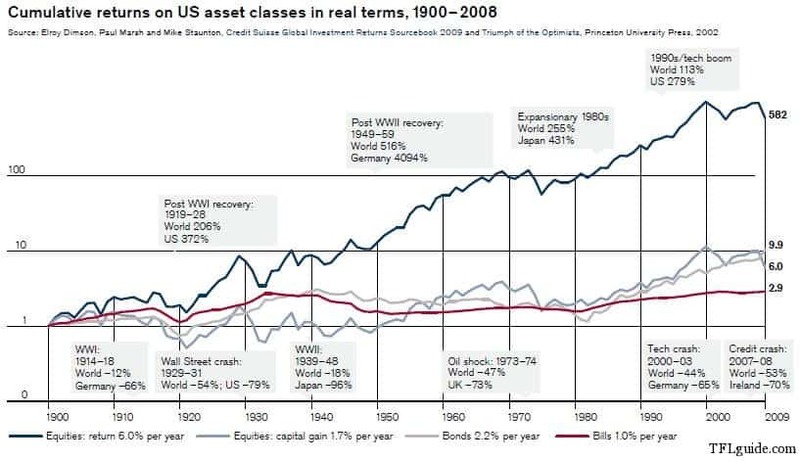 Studies have repeatedly highlighted the ability of stocks to outperform other asset classes (debt, gold, property) over the long-term (at least 5 years) as also to effectively counter inflation. So if stocks are such a great thing, why are so many investors complaining? Its because they either got the stock wrong or the timing wrong. Both these problems can be solved through an SIP in a mutual fund with a steady track record. 3. Helps you build for the future: Most of us have needs that involve significant amounts of money, like child’s education, daughter’s marriage, buying a house or a car. If you had to save for these milestones overnight or even a couple of years in advance, you are unlikely to meet your objective (wedding, education, house, etc). But if you start saving a small amount every month/quarter through SIPs that is treated as sacred and that is set aside for some purpose, you have a far better chance of making that down payment on your house or getting your daughter married without drawing on your PF (provident fund). 4. Compounds returns: The early bird gets the worm is not just a part of the jungle folklore. Even the ‘early’ investor gets a lion’s share of the investment booty vis-à-vis the investor who comes in later. This is mainly due to a thumb rule of finance called ‘compounding’. According to a study by Principal Mutual Fund if Investor Early and Investor Late begin investing Rs 1,000 monthly in a balanced fund (50:50 – equity:debt) at 25 years and 30 years of age respectively, Investor Early will build a corpus of Rs 8 m (Rs 80 lakhs) at 60 years, which is twice the corpus of Rs 4 m that Investor Late will accumulate. A gap of 5 only years results in a doubling of the investment corpus! That is why SIPs should become an investment habit. SIPs run over a period of time (decided by you) and help you avail of compounding. The first is a wrong way of investing. You should be saving in a disciplined manner and SIP enables you to follow the second, which is the correct equation of investments. 7) Easy, Flexibility and Liquidity: SIP is easy to start, manage and stop. It gives you flexibility to choose a desired scheme or to with draw in parts. And with conditions you have the money for contingency and emergency use. 8) You can also do SIP in ELSS (Equity Linked Saving Scheme) to save tax under section 80 C.
I will again say Best comes after postmortem report – you should see them as Top Systematic Investment Plans in Last 10 Years or just Systematic Investment Plan Comparison. Calculations are done on Rs 1000 per month investment to keep things simple. If you would like to calculate for Rs 5000 or Rs 10000 – you can multiply the amount by 5 or 10. Wasn’t that simple, and this is the reason we call SIP a SIMPLE INVESTMENT PLAN. Figures are in Dollar($) but you can treat them in Rupees. Notice in last years how fast your assets grow. Was this article helpful?? If you have some query feel free to ask. Next articleReliance Gold Savings Fund Review – Should you Invest? Very nice article & second presentation is awesome. Thanks Sanjay – Are you gaining something from TFL?? I don’t have any idea about you risk profile & financial condition – assuming you fits somewhere in balanced & talking about long-term goals, you can go for 50% in MF SIP & remaining in PPF. hello hemant. very nice article..i have query..i want to invest through sip..i have to purchase a flat around 60 lacks in next 12 years.and just want to know what amount and in which equity funds i should invest? Is there a reference where one can compare SIP returns (like you have showed)? Don’t remember seeing it in ValueResearch or other such sites. Are top SIP going to be different than top fund in respective category? You will not find SIP Return Comparison in any of the research sites. You can find SIP return for single fund for single period – then you have to combine all of them. It’s actually time consuming. Regarding your question – yes top performing SIP can be different from top performing mutual fund. Excellent work Hemant. I was really put off by MF returns after going through ValueResearch. Your article is really an eye opener as to how averaging through constant SIP can give stellar returns. Yes that’s the reason SIP is so powerful investment tool. Thanks for the article really a brief and wonderful presentation . I have a question? in SIP or mutual fund the money compounded monthly , quarterly or annually? Like we get in our banks. I don’t have any idea on this. Thanks for asking this superb question. As far as I understand it is daily compounding but for calculation & comparison we take yearly compounding. U R LIKE SACHIN TENDULKAR ! WHENEVR WE THINK THAT LAST ONE WAS YOUR BEST ARTICLE. U COME UP WITH EVEN BETTER NEXT TIME. KEEP IT UP N THANX FOR EDUCATING AND SAVING US. I WILL LIKE TO ASK ONE QUESTION. ENTRY TIME IN SIP DOES NOT MATTER BUT DOES EXIT TIME MATTERS? SUPPOSE AFTER 3-4 YEARS IF MARKET IS ON HIGH AND WE ARE GETTING GOOD RETURN SHOULD WE EXIT FROM THAT FUND,EVEN THOUGH WE DID NOT NEED MONEY AND PUT THE MONEY IN BALANCE FUND? JUST WANT YOUR EXPERT OPINION. There is nothing called best be it particular mutual funds, my post or even my blog – someone always holds a better thing next door. Exiting from your investment should depend on your financial planning & asset allocation strategy. You can read about basics of asset allocation in the Behavioral Finance Guide. Great article. However, I’ll add a caveat. I have done extensive research on SIPs. And I realized that ‘buy more at less’ argument for Rupee-Cost Averaging doesn’t hold any water. A return comparison of RCA with Lumpsum would always tilt towards lumpsum in the long run, on an average. Equity markets return more than debt on an average. So the time you stay out of markets (through RCA) drags the average performance down for RCA. You could have a look at following links about dollar-cost averaging. The most important part about SIPs is the discipline they bring, and how they soothe the nerves of a jittery investor. When we are talking about SIP we are talking about people who are earning regularly & they want to invest regularly – we are not talking about people who are holding cash in their savings account & then doing SIP. Even in case of STP – period should not be more than 1 year. Hope we are on same page. But professionals should be aware of the fact that Rupee Cost Averaging is not the best feature of SIPs. Nice article……..top job! Can you please advice which is the best SIP to invest according to current markets condition? As such there is no best SIP ‘according to current market situation’. You can choose on fund in large cap & other in mid cap from above list & start your SIP. If you include one and two years SIP returns also for the funds included in the list you will find that many of these funds have given negative or very low returns.On the other hand there are many other funds which have given better SIP returns in the last one or two years.Will it not be better to junk some of these funds and opt for better performing funds which are not in this list? Could you please advise which list you have reffered to in your comment above. Happy for this good association.sir !In the abcence of entry load, low commissions to mutualfunds agents, how to find a good one ? Great article. Keep up tha good work. I think its your first comment here – keep sharing your views. If you update Some Rolling chart In CAGR of HDFC TOP 200 Fund or Franklin Blue chip Fund 1Yrs ; 3rd Yrs ; 5th Yrs ; 9th Yrs ; 10th Yrs ;13 Yrs and 15Yrs..
it will give you very clear picture of Fund – How is perform in Downside or upward side.. I will definitely show rolling returns in some future article. I am very new to this area..
from whre i hve to start. is it a monthly investment ???? Good that you asked this question – just adding few basic points. If you have any specific query feel free to ask. 1) Define the date: different mutual fund companies give lot of options but the common ones are 1st, 7th, 10th, 15th, and 20th of the month. 3) Choose a scheme: shortcut is to consult a Financial Planner. 4) Fill in the SIP application form: there will be common application form and a SIP Auto Debit form (in case you wish the amount gets deducted from your account) or SIP registrations form (in case you bank or location is not servicing the auto debit facility and you want to give post dated cheques). 5) Documents: with the above mentioned form you also need to attach a copy of your KYC. very much thnkss for ur advice …. Can anyone enlighten me on the methodology adopted for computing rate of return on SIP. Rate of return on are mentioned as .5654% p.m.7% Debt Fund and as .8735% on 11% Equity fund is mentioned in one of the FPSB workbook. Can you share exactly what you have read in workbook. New to your site & this investing field. Both the PPT are awesome. I was thinking of investing my money but don’t know where to go & find. I was reading economic times & found this SIP’s article which attracts me to think, so i was just surfing on net to find more of this & finally found your site which is really helpful. My age is 23 & i’m very determine to invest in mutual funds which is a perfect go-through to understand the market scenario. I also wrote an email to ET to guide me into this sips. But from now onwards i’ll be heading to your site to get all the basic info on stocks, mfs, etc. Yes Hemant, I’d like to know more about SIP’s can you do a follow up article on how? what? where? documents etc..need for opening SIP’s account. Sure – give me some time. Also read one of my comments – I have talked about steps. The article was too good and all the more I liked was in the 2nd ppt, wherein you’ve said in one of the examples that, despite student getting low marks in “Geography”, but due to her consistent good marks in her previous tests, managed to round off well on an overall basis and made to the next level. Eventhough I’ve learnt these “so called minute things” when I was in teens, but never implemented it when we stepped into the real world….. Now, I regret more for not starting an early SIP’s…..
My age is 27 years. I have a surplus of Rs. 1.5 Lacs & would like to make my first entry into Stock Market through Mutual Fund SIP of say Rs. 5000/-. Since presently the money is lying in Savings A/C earning 3.5%, whats the way ahead? How about STP? But I don’t have any knowledge how STP works & whether its advisable…Kindly suggest the best parking option from where I can deposit into Mutual Fund SIP. Thanks. STP is similar to SIP with just one difference – in case of SIP amount moves out of your bank & in case of STP it’s first parked in a debt fund & then transferred to equity fund. You can choose funds from the list in article. 2. What’s the tax treatment of any gains from such Debt Fund at the time of transfer to SIP? 3. Are Debt Funds & Liquid Funds the same? Actually I know they are not…Which would be a better option in my case? I know in case of ELSS, 3 year Lock-in is for each SIP/Installment. Is it the same way for calculating 1 year period for LTCG. If you can explain with an example, it would be great. Actually I want to know how LTCG is calculated in case of a Mutual Fund SIP. Thanks a lot for the example. Great Man! I wish to start a SIP of Rs 2000 PM for a period of 3-5 years. Please advise me the best equity funds or others. it is really great to get such collective and meaningfull info regarding MF SIP here. sir my age is 26 and i want to invest 10000RS per month through SIP. please suggest some good alotment with best schems. You can choose any 4 funds from the list – 2 large cap & 2 mid cap. hi…i am a small investor.iwant to invest in SIP.which sip will best to me if i invest rs 1000 every month for 10 years.plz mention why this plan is best for me. Best fund is just a post mortem report – you can choose any 2 funds from the above list. I have invested a good amount in four equity funds in the last 4 years by SIP.I do not have any more money to invest at this stage. How you think I can take advantage of market volatility in the future, as once I have exhausted all my funds, I do not have SIP to take advantage of the future market declines. In other words, what should be the strategy after the SIP is stopped, should I just stay invested, or can I some how gain some extra returns. I have invested in all four balanced funds so asset allocation is already being done by the fund manager to keep 65: 35 ratio all the time. I am also a new person having idea to invest in Share Market. I found good discussion on SIP plans, thanks to all of you. Can anybody suggest me current SIP plan to invest for 5 to 7 years. Once I could get any new & concrete information about SIP plan, will definately share. Keep learning & at some later stage make a proper portfolio linked to your goals. can you please advise , if they all are good or I have to swich from any of these. You have just mentioned names of AMCs & not funds. Today only i visited this great informative site for investors. All articles are very informative and excellent. Thanks for your valuable analysis and information. I am 33 years old. I can invest monthly 5000, can you please suggest best investment options based on my age. I don’t know how to invest in SIPs. Please guide me. You can start with HDFC Top 200 & DSP BR Equity – once you learn basics than start some serious investments. Thanks a lot for the valuable information.I want to start investment in SIP 5000 p/m.What is large & mid cap.can you mention few names. What do you mean by serious investment? In large cap you can start with HDFC Top 200 & in Mid Cap go for DSP BR Small & Mid Cap Fund. I wrote “serious investment” as he is 33 & already lost some good years for saving. Or in other words time is not with him. Thanks for the info.Anyway i am also 33.Can you please suggest how to invest at this stage? You can also open PPF ac. with post office or SBI bank. I am not sure what actually you want to ask. thanks for this nice article sir. I am a student of MBA. I want to start SIP by my savings of part time job (tuitions). I want to start with rs.1000 for 3 yrs Is it possible? Don’t invest in equities if your horizon is only 3 years. Go for balanced funds or MIPs. Nice article! I’m 27 yr old bachlor with monthly income of 35k.Till now I havn’t done any investment. So to start up plz tell me where & how much should I invest,Or should I consult advisor? Hiring an advisor will be good choice but before that I will suggest to learn basics of this game. Start small amount in SIP so that you get some taste of equities – also open PPF A/c it’s a no brainier & best debt investment. Thanks for the reply. For starting I’m considering HDFC Top 200 & DSP BR Equity Fund from the list you mentioned in this article. Does these two funds good & enough? & for how many years I should invest in these funds? It’s good to hear that you are following our suggestion but don’t follow them blindly as need of 2 people will never be same so how solution can be same. But as far these funds are concerned they are exceptional performers in the past. 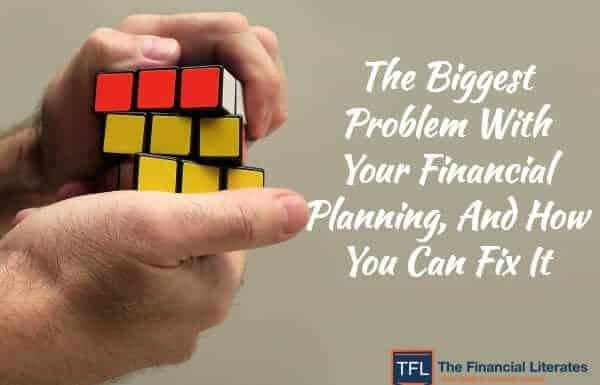 They are enough or not will depend on size of your goals and investment amount – but as you have mentioned it’s just your beginning you can stick to these funds. Time horizon of your investment should decide that for how long you should invest in any mutual fund –you can consider withdrawing it or changing your strategy when you are 4-5 year from your goal. For debt, I’m considering investing in FMP for 2 years(How much return I should expect?) & in HDFC Taxsaver fund. As I already opted for two equity funds, is it necessary to invest in more than one ELSS fund for returns? Also instead of opening PPF account I’m considering increasing my EPF contribution. Let me know your view please. Thanks for the great information. Just a small query, if ones horizon is long term like about 10 to 15 yrs, then what type of funds should one go for. Also does it make more sense to keep switching funds to maximize returns. For such a long horizon you should stick to good diversified equity funds. Don’t switch a lot – it will negative impact on your returns. Well, the article was indeed an eye opener..n the presentation was a motivating one.. Gee Thankx..i m indeed thinking of goin for a SIP!!! Nice elaborative article,it helps in understanding basics!I have question related to ULIP. I am 25yrs old bechalor. I started with a ULIP plan in Jan-2008,A.P of 15k.It covers Life insurance of 3Lac.I have already crossed the mandatory period of premium pay which is 3years.Do you suggest me to continue with policy?If yes,shall I continue to pay A.P or should keep policy as is? My suggestion will be to surrender this policy – but check surrender charge & tax implication before doing the same. I FOUD IT VERY INTERESTING AND CAN NOT EXPECT MORE INFORMATION. EVEN A LAYMAN CAN UNDERSTAND IT EASILY. THANX FOR SUCH INFORMATION. Thanks vinay for appreciating our effort. I came to know of this recently and I find it quite easy to understand. Thank you for your your kind effort for the Novice user like me. From your articles I came to know that a Term Plan with Equity SIP and PPF is the best combination. Currently I am 23 yr old and working in Railways. So I am already attached with NPS. My monthly income is nearly 32K. 1) I want to know if I take Equity with SIP in quarterly mode how long will I have to invest money in that particular fund. Is it that I have to invest only for 4 times (Quarterly SIP) in a year and then in the next financial year I can invest in some other equity fund. I am planning to invest about 40k per year. 2) In the quarterly mode is it that I can invest at any time within the 3 month period. It’s good to know that you are seriously taking your investment at this young age. I can assure you if you keep thing on track you will build huge wealth before retirement. You have raised a good point regarding quarterly SIP most of the investor thinks that it can be done only monthly. Theoretically you can do this way that you invest 4 installments this year in fund & next year in some different pay but practically this strategy will not have much benefit. My suggestion is to start with a diversified portfolio of 3-4 funds. Regarding dates of SIP that will be fixed & you have to invest on same date every quarter. This is 3rd time that I have received this query – I am writing one article on same will publish it today or tomorrow. Is any SIP granted any I.Tax benefit to the investor? You can start it in ELSS Fund. please clarify, should i invest per month 2000/- via SIP in 1-2 mutual funds stated by you in the article or invest quarterly/half yearly equivlent amount , which one will be more benificial. i am a salaried employee. You can start in any of the 2 funds mentioned in above list. Go for monthly option – your income is monthly – most of your expenses are monthly – so why not have investments on monthly basis. In the table of best SIPs only the name of the scheme is given.If in the description it is also mentioned whether the scheme is large cap, mid cap, small cap or flexi cap, it will help the investor in making a selection. Next time I will try to implement it. Thanks a lot to share such an insight into the subject of SIP. You can start sips in 4-5 funds & keep reviewing it on half-yearly basis. But must start learning about investments & other personal finance topics. 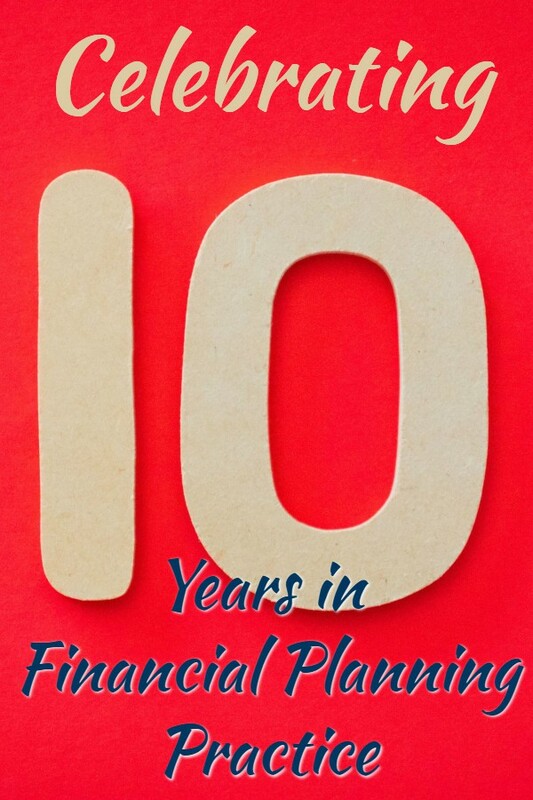 First many thanks to you for how you are educating people who are interested in their future financial plan. Great Sir. Can you please tell me, till date i dont have any financial plans, by reading this article, interested in invest in SIP. How and where can I start, I dont have any demat account. Can I pay online monthly to any SIP? There is no requirement of Demat for mutual fund investments – try to find out an advisor in your locality or reach out nearest branch of private sector bank. They will assist you in filling your form & may also guide you. Make sure they don’t sell you any investment related policy. Very very informative,useful, and interesting article.Pl keep on writing and sharing such types of information with us.Also may I request you ,to mail few more company’s mutual funds(SIPs) whose past performance were attractive and future is bright, and also are suitable for investment as per your experience and idea. I have already shared a long list – I think you can start SIP in 3-4 funds of your choice. I want to start investing in SIPs starting with Rs 5000 per month and taking it to 10000 per month. Looking at a horizon of 5 years which fund will give me max returns. I have medium risk appetite. Since you are investing in mutual funds for the first time and you have a medium risk appetite and medium time horizon, you can start your SIPs in one or two balanced funds. I want you to tell me how is my portfolio..
My second question is that I have also started investing Rs. 4000 ELSS SIP in HDFC tax saver. If from next financial year, ELSS is not considered as tax saving then what will be the option for me to invest in equities for tax saving and if equities will not be considered as tax saving then should I invest some amount in PPF and increase my SIP in the above 3 diversified funds or have one more diversified fund in my portfolio? Your fund selection is good – continue it. Regarding DTC let’s wait but continue your investment ELSS. 3) To earn that amount per month, I calculated the Corpus amount (Rs. 1,26,88,683) required which when invested at 6% Interest Rate gives me 63K per month. 4) To achieve that Corpus amount , I calculated how much amount I have to invest monthly (in SIP) at an investment rate of 15%. I got an amount of Rs. 19K approx. a) Am I correct in my assumptions and calculations? b) I plan to invest this amount equally in 4 SIP Plans – HDFC Top 200, Franklin Blue Chip, DSR Black Rock & one more SIP. I’d like to hear your comments and suggestions regarding my plan. c) I plan to invest for 15 years as I’m 44 now and am planning for my retirement fund. 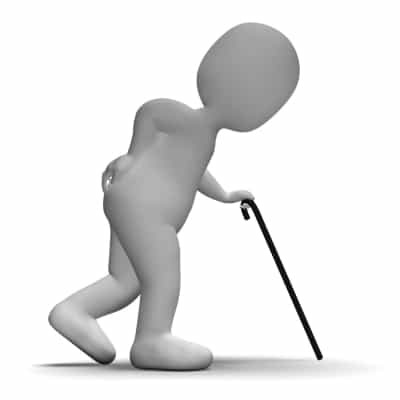 I would like to inform you that we have read enough articles on ULIP insurance n pension policies n came to know that those policies are not enough to meet our retirement goals. So if you have decided to go with mutual fund SIP’s then its a good decision. Proper fund selection is also an important part to enter in equity. So all the above funds that Hemant suggested are very good.. One thing you need to look at is that you need to have proper diversification of funds.. large cap, multi cap and small n mid cap fund..So if you go with HDFC top 200 as large cap fund then in multi cap category go with reliance equity opportunities fund and/or fidelity equity fund and in small n mid cap category go with DSP-br small n midcap fund or IDFC premier equity.. remember that 30-40% of investment in small n mid cap category is important as these funds will give very good returns in long run.It is also important to have proper company diversification. And considering your age I would also suggest you to have a balanced fund like HDFC Prudence fund which will control your portfolio when the market is down. My dad is a retired person n is 63..He told me that he wants to invest Rs. 1000 SIP equity per month from his pension which he thinks he has in excess for around 5 yrs or more and is happy to get any returns better that govt schemes. I told him that SIP investment for 5 yrs is perhaps not enough as many of the financial advisers do not suggest to invest in SIP for just 5 yrs..I told him to invest for at least 8 yrs..Then he said ok.. I also told him that you should not be worried too much with the market fluctuations..He said ok for that as well.. I suggested him a balanced fund i.e HDFC Prudence fund whose track record has been very good over the yrs. I want your opinion on this Hemant.. Shall he proceed further with the HDFC Prudence fund or you can suggest any other fund? I am impressed with your articles. But I do have some concern regd the selection of mutual fund or equity suggested by you. I do agree that SIP brings discipline, rupee cost averaging, interest compounding… etc. But the main thing is choosing the right fund. If the fund is not performing great, it does not make sense to invest in SIP even for 10 to 15 years. I could see that no where you are mentioning that. Please correct me if I am wrong, I understood from your articles that you ask to go for SIP irrespective of fund (i.e how it performs) as nothing is best for you. But I think that is not right procedure. The same thing for equity, not all shares of the companies will go up even if we keep for long term (10 to 15 years) if the company is not performing good. I think you have not understood the article correctly.Below the table of SIPs prepared by Hemant he has clearly mentioned that the table is meant for comparison only based on the past performance of the funds.Hemant is right when he says that no fund is best because no fund remains best for ever.There are always ups and downs in the performance of a fund throughout its life cycle.The fund which may appear to be best today may not remain best tomorrow.Moreover the selection of a fund is not decided solely by its present or past performance.While selecting funds for SIPs the presence of other funds in the portfolio has also to be considered.Recommendation for a fund for SIP can not be given in isolation.That is where the role of a financial planner comes.Moreover it has been proved that over a long period of time even a fund which may appear to be giving average returns has the potential of giving decent returns. I would like to thank you for this excellent article. I came across your website a year ago and since then I am reading your articles every now and then. I must thank Mr. Kapila for his comments which are indeed much valuable. Last time also, I had a similar query about investment but I also had some debt at that time and Mr. Kapila suggested me not to invest until I pay off my debts. So worked on that suggestion and first paid off my debts. I am 32 years old, bachelor with a monthly income of Rs.25000/-. I want to invest at least Rs.8000/- per month for at least 5 years. Please suggest me the best mutual funds which I should opt with the breakup of the amount. I would be highly thankful if you please suggest that what should be my financial planning. I haven’t saved anything till now. great article. it really helps us new investors get a good picture. i am 28 yrs and want to invest rs 6000 per month in a sip. looking at hdfc mid cap oppurtunity fund . also i am a bit confused as do new funds like this one having low nav of 15 rs is better choice than hdfc top 200 fund in long tern of 20-25 yrs as investment is fixed and i will be getting lesser units in top 200 as nav 215 rs than mid cap as nav 16rs . Since you are a new investor, it is better for you to invest in two or three good large cap or large and midcap funds.NAV does not play any role in the selection of funds.Only the long term performance of the fund should be considered. As Anil n Hemant said NAV high or low does not matter..What matters is the performance of the fund over the years under good times n tough times.. Many financial experts say that for a person in his portfolio..there should be minimum 2 funds n maximum 4-5 funds n proper diversification of funds like multi cap, small n mid cap and large cap is required.HDFC top 200 is a large cap fund and HDFC midcap opportunities is a mid cap fund.. I would suggest you to have one of these 2 funds because both these funds are managed by same fund manager. So if you go with HDFC mid cap opportunities..it is an excellent mid cap oriented fund and in large n multi cap category of funds you can have fidelity equty fund and reliance equity opportunities fund..This should complete your fund portfolio and in long run you will easily achieve your goals.. I have recently started two SIPs, Reliance Growth Fund and HDFC TOP 200, both Rs.5000 each and planning to continue for 15 years depending upon the future performance. I would like to have one more. Kindly suggest the best one. If you read the posts carefully you will get the answer of your question.Hemant has already mentioned that best comes only after post mortem report. So please invest the additional amount in one good large cap fund based on present and past performance and keep on monitoring the future performance of the funds in which you invest. Reliance Growth fund is an OK fund and HDFC Top 200 is a very good fund..Both are large cap funds..Most of the financial experts say that one needs to have proper diversification and 30-40% of your investment should be in small n midcap funds as well.. So I would like to suggest you to have a small n midcap fund like DSP-BR small n midcap fund or IDFC Premier equity.. Both of these funds have been best performers under this category.. This will complete your fund portfolio.. Also re think your strategy with reliance growth fund..Continue with it till it performs well or else switch to reliance equity opportunities fund which has been a magnificent fund in the last 5 years. SIP is one category of investment which every individual should be investing in. I am 30 yrs of age and looking for investments in short and long terms and so choose SIP. Your article has motivated me that what I have choosen is good. However I wanted to know if step taken by me is good enough. I have started SIP from this year (March 2011) and invested Rs 5000/- in 4 different funds as adviced by ICICI MF Advisor. I have currently opened it for 3 years but I am planning to extend it for 10 years. I wanted to know from you if the funds selection is good enough and how much do you project its value will be after 3 and 10 years ? If you feel any of the fund is not good what you suggest me to do? 2. ICICI Prudential Focused Bluechip Equity Fund Retail Growth : Rs. 1000/month. 3. ICICI Prudential Discovery Fund- Growth: Rs. 1000/month. 4. ICICI Prudential Dynamic Plan – Growth : Rs. 1000/month. Looking ahead for your advice. Firstly I would like to point out that a person who is connected with a particular fund house can not be called an advisor. His job is to increase the business of the fund house. You should take the advice of an independent financial advisor. 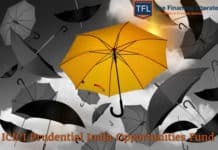 All the funds you have taken are good but it is advisable not to have more than one fund from the same fund house.For the sake of diversification and safety you should retain only one fund from ICICI Prudential fund house and replace the two funds with similar funds of other fund houses. Investment in equity mutual funds is done for long term goals of more than five ears.No body can predict short term return of three years. Your top 3 funds are very good. Even though your fund exposure is mostly in ICICI funds, the 2 funds i.e focussed bluechip is a large cap fund and discovery fund is a midcap-multicap combo fund. Both these funds invest your money in different diversified ways. So you can stick to these 2 funds. IDFC Premier equity is excellent midcap fund as well. Only change you need to make in your portfolio is exit from Dynamic plan n invest in another large cap fund i.e HDFC Top 200 fund. This will give proper balance to your portfolio and also provides you with proper company diversification. This completes your portfolio diversification very well..
Now coming to your 2nd question about returns. It is not possible to predict returns but we can certainly make assumptions. So if you are investing Rs. 5000 for 10 years then.. So Mr. Mittal, this just my point of view..You need to take final decision. If you want to look at some other funds.. you can select from the above mentioned list by Hemant Sir. You can also see the latest post on this subject in which some guidelines have been given for selecting equity mutual funds. I can invest 7000 monthly through SIP and I can be an aggressive investor,so can you just give me a rough figure to make my port folio ? please let me know how much amount i have to invest in each caps .. I think you should invest Rs 2000/- each in large cap and large cap and midcap and midcap and Rs 1000/- in multicap. Do not forget to track your funds. You have selected very good funds for your portfolio.Start your SIPs in these funds immediately and stay invested for a long time.No not bother for short term ups and downs.Good luck! These are my investment folio let me know is there any modification required. HDFC TOP 200 ->> 2000/monthly SIP. HDFC Equity ->> 2000/monthly SIP. ICICI DYMANIC (G) ->> 2000/monthly SIP. ICICI Pru Focused Blue Chip Equity (G) ->> 2000/monthly SIP. All funds in your portfolio are very good.The only issue is that it has not been properly diversified as you have more than one fund from two fund houses in your portfolio.This increases your risk.Normally the portfolio should have only one fund from each one house. – Instead of one ICICI fund you can go for DSP BlackRock Top 100 Equity. Other good funds are -Franklin India Bluechip,Fidelity India Growth,Birla SL Dividend Yield Plus and UTI Dividend Yield and i think minimum monthly payment for IDFC Premier Equity Plan A (G) is 2000. Thanks a lot , for correcting me Now I understand what your concern is and where Iam wrong. Really a wonderful experience of using TFL where i get the right direction to invest. Credit goes to Hemant Bhai,he is the man behind TFL.without any doubt i can say that i’am getting all these knowledge from him and Anil. Keep visiting TFL and share it with your friends. It is good to know that you have understood what to do.The key is to remain away from people who are miss selling. I am completely agreed with you. 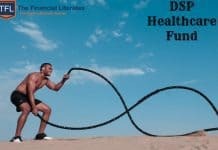 Hiii Hemant, Thanks for writing useful articles about various investment schemes.I want to invest money in SIPs for 5 to 10 yrs,and have short listed few ones ,which are :HDFC Top 200 Fund, Birla Sunlife Equity Fund ,DSP BR Equity Fund,SBI Magnum Global Fund,Franklin India Blue Chip Fund.In your suggestion are these SIPs are safe and beneficial ? Pl also suggest that I want to invest in Gold ETF,how will it be this investment ? Thanks in advance for your valuable advice !! Please read the post Best Mutual Fund For SIP.This will help you in constructing your portfolio. Actually this article is not clear to me and I want to know in nutshell. Pl suggest me to construct the portfolio. The portfolio of equity mutual funds is constructed to meet your long term goals such as kids education, retirement etc.You must have a corpus in mind to achieve your goals.Depending on the corpus required you have to decide the amount which you have to invest every month.Then you have to invest that amount in four or five funds which will form your portfolio.Select one large cap fund, one large cap and midcap fund, one multicap fund and one midcap and small cap fund from the categories given.Invest around 70% of the amount in large cap and large cap and midcap fund and the balance in the other funds.Start your SIPs and remain invested as long as you can.Do not bother about short time ups and downs in your portfolio. Thanks for your valuable suggestions.I am Ex soldier aged 37 yrs and get monthly pension about 10000 Rs PM, and get 35000Rs PM from salary.I have invested money in RD, MIS & FDs but that gives very less profit, off course have highest security. Now I want to invest around 400000 lacs RS ,which I had received from my last service.Pl suggest me the areas of investment,particularly with specific name of SIPs and also name(s) of term plans of insurance and amount and period of plan as per your suggestion.Also pl suggest me that how will be the Gold ETF for investment purpose. It is not desirable to make any lump sum investment in equity mutual funds.You can divide the lump sum amount available with you in monthly installments and invest it over a period of around one year in monthly SIPs.Up to 10% of your investment you can have in gold. 1. Like for example i started SIP in ICICI fund with folio no. of 1233456/78 . After one year I got a good incentive or some return from other investement . So would it be a good idea to invest those returns in that SIP folio lumsum. As for as folio number is concerned normally you should have only one folio number of a fund house and you should do all your investments in the same folio number.It does not matter whether you invest lump sum or through SIP. oh! gr8888 . I was really confused . Now every thing is clear. Please read the post Best Mutual Fund for SIP for answer. I think you have read other posts as well. You need to have realistic financial goal in mind along with the period of time to achieve that goal. It helps you to plan to achieve the goal and the amount you need to invest regularly. Hemanth suggested few mutual funds which are good to invest in sip method. Please choose among them and do not worry about markets ups and downs and invest your money to achive your financial goal. Please keep in mind that you should have long term goal in order to invest in Equity and also be realistic, i.e expect approx 12% to 15% returns per annum in equity. The reason I am saying this is that your query says that “Some good returns”. Hence I am suggesting you to have finanical goal in place. If you are already having that, then it is very good. Happy investing to achieve your goals. Please advise if the above selections are appropriate. Also will it be available for an NRI. As mentioned in the post Best Mutual Fund for SIP your portfolio should have one large cap fund, one large and midcap fund,one multi cap fund and one mid and small cap fund.Although both the funds of HDFC mutual fund selected by you are very good, it is better if you select each fund of different fund house for better diversification and reducing risk. pls. advice me on the investment funds available to invest Rs.10,000/- every month in a SIP. investment period will be between 10 to 15 yrs and will be purely equity based. Read the post Best Mutual Fund For SIP. Please guide me on this,is this okay , and please suggest me some more plans for investments and i would like to invest more 5k per month but gradualy , & i need to save 60000 more under 80c plz guide me on dis.. I had already invest in dsp balckrock natural res & reliace reg saving 10000/- respectivly lumpsum in yr 2009 so shall i continue with dis or can i go for redumption option? It is good to know that you have started investing in mutual funds and you want to invest Rs5000/- per month more. However it is important to know whether you are investing to meet some long term goal or just investing by randomly picking up some funds. Yes, the amout which i have invested in all above funds(which i mentioned above coment) is for long term like 5 yrs, and does that invesment financialy sound? Please let me know this also if not then I will roll back my funds. The definition of short term and long term is different for different people.For the purpose of investment a time horizon of less than three years can be considered short term.In the short term we can see a lot of volatility in the market.Hence it is advisable to invest only in debt for short term.Time period of three to five years can be considered as medium term.For medium term you can consider investing in hybrid funds.For a time horizon of more than five years you can consider investing in pure equity funds. Nice artice, some of my doubts are now cleared about SIPs…. will read all the comments once reaching home… i will first get my KYC done.. by the time can you seggest me how to get a good financial planner. Instead of looking for some investment plan you should construct a portfolio of three or four good equity mutual funds and invest the amount in them. You are welcome Shikha.It is good to know that you are starting with your investment plans.Best of luck. If you are planning to start investment in mutual funds to meet your long term goals please read the post Best Mutual Fund For SIP.This will help you to construct your portfolio.Just follow the core and satellite approach.The funds selected for each category are based on the present and past performance.You do not have to consider any other factor like PE ratio etc. Thank you Anil, i ve gone through that web page too. Must say that helped me lot to make my portfolio, yea i m following core satellite approach and playing on conservative side, keeping 65-70% in core. Made a list of all contact address, where i could approach on the decided fund houses. I guess it will take time to start upon all the MFs investment plans i ve made. I ll do that one by one. For the beginning I ve decided on four diff fund houses, two large caps and one large and mid cap, and one multicap. Will fill in 1-2 tax saver MF too. Lets c how it works out. Please feel free to provide your valuable suggestions that would add on my future plans and make it lot better..!! You are doing fine.You can also check contact address of registrar and transfer agents of different fund houses.Most of the fund houses are serviced by CAMS and KARVY.You should not forget to mention your email ID on the application forms.Once your emailID is registered with registrar and transfer agent you will automatically get your account statements via email whenever any transaction takes place.Moreover you can also get your portfolio statements via email. One must try to save as much as one can. If you can save more than 30% of your income then it is very good. Since you are new to investments I would suggest you to have proper asset allocation first. As you are 25 years old you should have around 25% in debt and 75% in equity. If you have already invested in debt as per your asset allocation then you can consider investing your additional savings in diversified equity mutual funds. thanks anil, i guess that 1:4 ratio of debt:equity is for total savings and not total income…!! am i right? Yes this is the allocation of your assets which you create from your savings. Here debt is needed to meet your short term requirements and equity is meant for long term wealth creation. I have not included property and gold which can be your other assets. After having a portfolio of diversified equity mutual funds exposure to gold can be considered later on. Gold should not form more than 10% of your portfolio. Thanks for publishing such articles. Indeed your articles are very informative. I am 22 year old salaried executive and a novice in this field. I want to know that SIP is to be done on monthly basis or it can be done on quarterly, half-yearly or yearly basis as well. Though I save some amount per month but I have to keep it for emergency. But I can invest money that I will get as bonus or incentive (but that will be twice or thrice in an year) or surplus out of emergency fund. Or I may start 2 monthly SIP Rs 1,500 each and invest more as and when more money is available. So please advice, which way can I do. Can I do any one of the two ways or only one of two is possible. Secondly, SIP is done for a fix amount say Rs 2000 and the unit price (NAV) is Rs 240 so you will get 8 units, what is about balance Rs 80, how it is account for. Since you get your salary every month it makes sense to save something every month and go for a monthly SIP although other options are also available.To begin with you can start monthly SIPs in large cap and large and midcap funds. You can add multicap and midcap and small cap funds to your portfolio later on whenever you have more funds available. You can add to your existing funds any time by way of small lump sum investments. It is not necessary that NAV or the allotted units have to be in whole numbers. Thanks a ton for all ur articles. I am 30 yrs old. I am working in a SW industry. I am new to this kind of investments. My current savings/investments are in the form of LIC Policies and PF. I dont think its a good investment from a long term perpespective. I need some suggestions on investing the money to have a good returns for my childerens and at my retirement. It is good to know that you have now decided to invest to meet your long term goals.Please read the post -Best Mutual Fund For SIP and start investing in equity mutual funds. Im a student with about 1000-2000Rs to spare every month. I’m looking at a long term investment of about 10 years. From what i’ve gathered SIP seems like the best option. I heard the word midcap & largecap mentioned in some of the previous comments, i dont really know what that means. I would greatly appreciate some advice as i am new to investing and a complete illiterate on the subject. Words largecap and midcap are derived from market capitalisation. 2972 stocks are traded on BSE. 78 largest companies account for about 70% of total market cap, 216 mid-sized companies account for the next 20% of total market cap, 2678 smallest companies account for the bottom 10% of total market cap. Equity mutual funds with more than 80% of assets in large cap companies are called large-cap funds. Equity mutual funds with 60 to 80% of assets in large cap companies are called Large & midcap funds. These types of funds are synonymous with stability and low volatility. Hence you can select one or two funds of these categories for your investments. Im interasted (SIP) plans so please sagest me best co.& plans. Please read the post- Best Mutual Fund For SIP. Thank you very much for your valuable article. My monthly salery is Rs.18000/pm. Yearly 8000 pay in LIC Bema Gold Scheme. Mothly Rs.2000 invest in HDFC Top 200 and DSP BR Top 100 Equity -Growth Scheme. Pls kindly help to me this is enouf for my future retirement statge or can i increase amount in Mutual fund. Pls kindly help to me. am new investor in Mutual fund. The funds selected by you are good. If you can save more then you can always increase your investments in these funds. Tax saving can not be the only reason for starting SIPs in mutual funds. 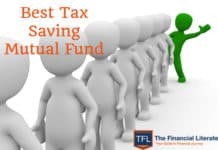 Moreover from next year you are not going to get any tax rebates on your investments in tax saving mutual funds and your money in these funds is going to be locked for three years. If the objective of your savings is to meet your long term goals then investment in equity mutual funds through SIP route is the best approach. Thanks for providing information in simple way. I hav Rs. 50000. want to invest for 2 years. please suggest where could I? Also I want to invest Rs.2000 Per Month on SIP. So please suggest which SIP should i look forward too. Your investment horizon of two years is not suitable for investment in mutual funds. You can consider investing in bank deposits. For investment in equity mutual funds you have to remain invested for a minimum of five years. You have not mentioned any investment horizon. If it is around five years you can invest in a balanced fund like HDFC Balanced Fund. 1st off all heartily congratulation to hemant,anil. i am 28 year old.my monthly income is 20k. i want to invest 4000-5000 Rs. per month. 500 Rs. in Reliance growth fund. for long term.it’s suitable or not? another question is here sir i am going for long term ie 10-15 year for these SIP then any lose. For investing Rs 3000/- per month so many funds are not required. You can consider investing in these two funds. Firstly I would like to thanks for this nice article. I also want to invest in SIP but I have one query regarding the date of each month. Which date of the month is better to choose while investing in SIP. Is it better to invest around 25th of each month just before expiry because normally market fall at that time ? When your investment horizon is long and you invest through monthly SIP, the date of SIP is not important. Nobody can time the market. i am polcy holder BSLI platinum Premier – life term 10 pay 10. but i am 1st primium paid 08 march 2010. next primium due on march 2011. some problem occuer due to primium not paid by me. pl suggest me to be continue to same plan and what are procedure to be continue and also suggest for what are document to be required for contineue. My age is 27, recently married. I can easily invest 25000 /- Per month. I am planning to invest 5000/- every month for 15 years for my Child Education in SIP, 5000/- every month for 20 years for my Child Marriage in SIP, 5000/- every month for 25 years for my retirement in SIP, 5000/- every month for 20 years as a insurance premium & 5000/- every month for 10 years in SIP for investment. Kindly Guide me is it the right decision of mine ? or if not, then kindly recommend me the same ? Also tell me which are the best MF to invest ? Also i will be in need/require of good amount of money after 15 years…..So kindly Guide me???? If you remain invested in equity mutual funds for 25 years the wealth you generate comes under long term capital gains. Right now there is no tax on that. Thanks but if we invest for 15 Years in equity mutual funds then What ? If i invest for 15 years then will i come under the tax provision or not ? The Income Tax Law as it stands today is that if you remain invested in equity mutual funds for more than one year you are not liable to any income tax. It is extremely unlikely that the Government will levy any tax in future. However, no one can predict what will happen in future. If your investment horizon is more than five years and you have risk appetite then you can invest in some balanced fund like HDFC Balanced Fund. I have a 50000 amount in hand except all my saving got it as a bonus this year . I want to invest it lumpsum in HDFC equity existing SIP folio as market is very down at the moment and i can leave it for nxt 10 yrs. Kindly guide me Iam doing right to create a better return or should i go for other option. Apart from HDFC Equity Fund there must be some other funds in your portfolio. Instead of parking the entire amount in one fund it will be better to distribute the amount among three or four funds to spread your risk. I am a ty b.com financial marketing student and i am makin a 100 mks project on sip…can u help me with the history of SIP or how it has evolved over the years. any other kind of information is also be appreciated. also if you have any particular ideas on how to go about the project the please let me noe. i’ll be really grateful. To get the history of SIP and how it has evolved you can look for resources using Google search. Articles on SIP regularly appear in personal finance magazines like Mutual Fund Insight, Outlook Money, Investor India, Mint Money etc.You can also look at Business Sections of newspapers. Most of these magazines have their Websites where back issues are available. If you share your email ID I can forward you the articles I come across. (a) a bank like HDFC for HDFC funds, ICICI Bank for ICICI funds and such like, (but what about non banking funds) (b) a stock broker who deals in equity or (c) an agent who deals in financial instruments like insurance, postal savings etc. (d) or online sites (are they safe and reliable). Do we have to pay any brokerage and such charges. I remember, that some new charges were imposed on new investors sometime back. Can you please let me know about these charges etc. You can directly approach KARVY and CAMS registrars and transfer agents for mutual funds. Fund houses can also be contacted. No charges are applicable when you invest directly. I am 26. And I am new to this field. I am engineering professioanl & I dont have any basic idea behind this investment in MFs and SIPs..
Can you please let me know how I can start investing in SIPs. And what is the procedure for that? And Is there any need to open Demat Account?? And Please suggest that — Can future/projected performance of the companies vary? and if so, Howmuch it can vary?? I am also an engineering professional. One can learn basics of financial planning very easily by reading personal finance magazines. You have to first construct a portfolio of diversified equity mutual funds. Please read the post – Best Mutual Fund For SIP. You don’t need any demat account for investing in mutual funds. You can go to Mutual Fund Houses and tender your application there. You will also be required to fill application for KYC for which a photograph, PAN copy and address proof are needed. After you start your SIPs you have to monitor the performance of all the funds in your portfolio as the performance of a fund can deteriorate with time. And from where can I invest in these MFs & SIPs? Is there any online trading site or any particular suitable site, where I can do this business safely? KYC stands for Know Your Customer. Without this no investment can be done in any mutual fund. You can tender your KYC application at UTI Technology Services or HDFC Mutual Fund house. You can also approach CAMS and KARVY for investing in mutual funds. It was really helful guidance. I’ll definately share this article with my frineds. Thanks again.. Thx a lot.. I have visited & registred on one site fundsindia.com… please tell me your views about this.. I have also this question in my mind about investing through the site fundsindia.com… need your opinion about its genuineness to start investing . Which is the best option in terms of tax savings i.e. which of the three options saves us maximum income tax, dividend, reinvestment and growth. I want innvest Rs 25000/- per month in SIP & 10000/- Per month in ETF Gold for 3 to 5 Year pease guide me. I’m waiting for ur reply. While investing the most important thing is to have proper asset allocation among the various asset classes like equity, debt and gold. Normally exposure to gold should not be more than 10%. I have no idea about your investment in debt. Moreover investment in equity mutual funds is to meet your long term goals for which investment horizon has to be more than five years. For investment horizon of three to five years you should have some exposure to debt and some to balanced funds like HDFC Balanced Fund. can you please tell me the AMCs or funds that accept subsequent deposits of 500/- through internet banking . i do not want to make sip and want to invest periodically with as low as 500/- each time as my subsequent deposits . There are more than thirty fund houses and hundreds of funds. It is not possible for anyone to keep such information on his finger tips. You can get this information only from fund houses. I do not think you as :any one: that is why i put you the question . You can take time . It is not possible for a layman like me to search fund houses for this information . As far as I know most fund houses insist on minimum lump sum investment amount of Rs 5000/-.Even in the case of monthly SIP in most funds it is Rs 1000/-. Only a few funds permit a monthly SIP of Rs 500. Please get fact sheets of funds in which you want to invest to get the desired information. 1. Recently i had started investing Rs 6000/- Per Month (Sip) in ELSS HDFC Tax Saver (G) . I want to invest for at least 10 years continuously. Please guide me is it the right fund to invest ? or should i Change it ? 2. I had also started Sip of ICICI Prudential Regular Gold Fund of 6000/- Per month. I want to invest for at least 10 years continuously. Kindly guide me about this fund also? Is it the good fund to invest ????? I would like to inform you that from next year you are not likely to get any income tax rebate on your investment in HDFC Tax Saver Fund. If your purpose of investment is only tax saving then you can avail this benefit only till March next year. Normally your investment in gold should not be more than 10%. If you do not have any other investment in diversified equity mutual funds then it is better to have a portfolio of equity mutual funds first before starting your investment in gold. My purpose is not getting Income tax rebate. My purpose is investment only. 1. Kindly tell me Is HDFC TAX Saver Fund is good Fund to invest it in for 15 Years.? 2. In Gold case, 10% of What ? While investing you should have proper asset allocation in different asset classes like debt, equity and gold. A typical allocation will be 60% equity, 30% debt and 10% gold. If tax saving is not your goal then there is no point in investing in a tax saver as tax savers have a lock in period of three years. It is better to construct a portfolio of diversified equity mutual funds. Moreover, except these two funds, i have still the surplus money to invest in Diversified Equity Mutual Funds. If u recommend i can start one more Sip very easily in Diversified Equity Mutual Funds without disturbing these two . Is my investment in ICICI Prudential regular gold Fund & HDFC Tax saver is not good Decision??? ?Please guide me what should i do as i m very much confused ????? Please read the post – Best Mutual Fund For SIP for selection of funds. Till today, i had paid only one month SIP for both funds. Can you please guide me how i can change from these funds ? As in HDFC Taxsaver there is a locking period of three Years, so can i still change it now ? & if i stop these funds & start new one, will i get back my Rs. 12000/-???? If you exit from a fund before one year there is some exit load involved. To avoid that you can just stop the SIPs in these funds and don’t go for redemption if you do not need money now. You will be able to get the amount invested in HDFC Tax saver only after the lock in period is over. You can switch from ICICI Prudential Gold Fund to ICICI Prudential Focused Bluechip Equity Fund and from HDFC Tax Saver to HDFC Midcap Opportunities Fund. For this using the existing folios you have to give new SIP applications. Is there any Charges for Switching ? Will the money that is already invested in the funds automatically carries over to the new funds ? You can check the charges from the fact sheet of the fund. In switching many options are available which you can find from the fund house. As HDFC Tax saver has lock in period of three years, so can i switch to HDFC Mid Cap Opportunities before completing 3 years ????? Can i switch From ICICI Pru. gold fund to ICICI Focussed Bluechip fund ? Will the money that is invested in ICICI pru. Gold fund automatically carries in to ICICI Focussed Bluechip fund.????? Normally if you exit from a fund before one year some exit load is applicable which you can check from the fact sheet of the fund. Hence my suggestion will be to just stop SIP but remain invested in the fund. In any case some exposure to gold is fine. 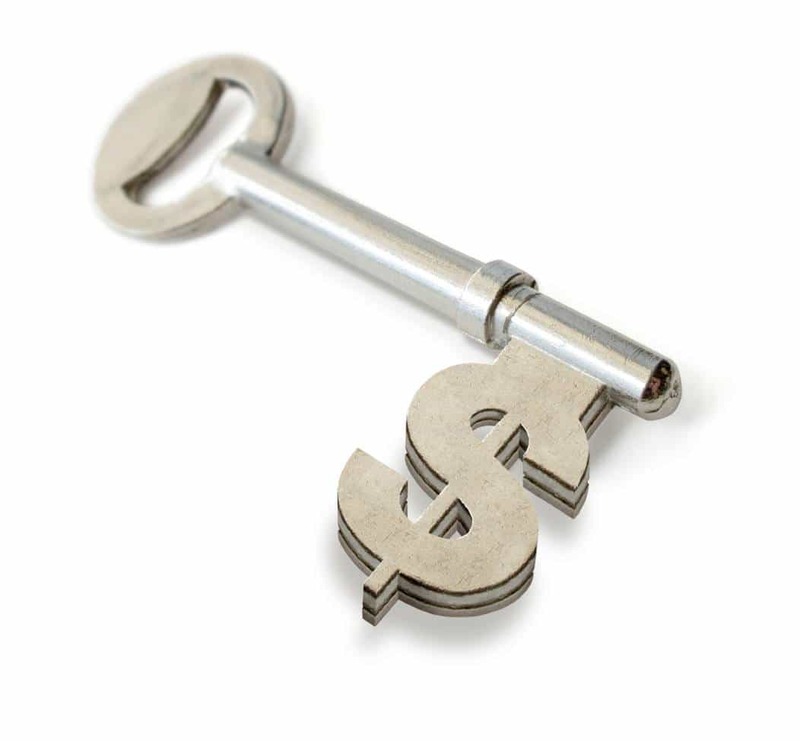 Switching option is available in all the funds where lock in period is not applicable. I have read your articles on TFL guide. They are really helpful to me in planning my goals. Sir, i have some queries regarding my current investments, please suggest if they are good or i need to withdraw. 1. HDFC SL CREST –premium(50000/-) jave paid one premium & about to pay second. 2. Kotak mahindra super advantage (30000/-) yearly. paid 2. Please put some light on these investment. I have read your articles on TFL guide. They are really helpful to me in planning my goals. Sir, i have some queries regarding my some more current investments, please suggest if they are good or i need to withdraw. 2. Kotak mahindra super advantage (30000/-) yearly. paid 2 premiums already. It is interesting to see the same question being asked by one person under two names. It is better to seek advice before investing. You can take the free course being offered by Hemant. Me & Yashu Handa are working together & very good friends, so thats y we asked the same question to you. Moreover, yashu asked you first this question & when u haven’t reply then i posted the same one. It is not clear to me what type of guidance you need. In case you want to know about financial planning please go through all the posts of Hemant. Regarding insurance it is better to have term insurance if you have dependents. ULIPs are very costly products and must be avoided. We just want to know that should we go further with these investments or we should stop these investments ? Investment and insurance should not be mixed. All mutual fund investments are subject to market risks. If your risk appetite is low don’t expect a minimum of 15% returns. In general large cap and balanced funds are less risky. But your return expectations have to be realistic. Please read the post – Best Mutual Fund For SIP. Please read the post – Best Mutual Fund For SIP. I however would like to increase the allocation. I have a target of buying a house in the next 6 years time, which would cost me close to 50 lakhs. Kindly suggest the allocation, and any other fund for investment. Your fund selection is good.You can add one mid and small cap and one multicap fund to your portfolio. Investment in equity mutual funds is done with an investment horizon of a minimum of five years. In the short term you can lose your money if you invest in these funds. Moreover you should not be investing in more than four or five funds. While selecting funds you should not have more than one fund from a fund house. Absence of core makes this portfolio very risky. what is core ? pl make me learn sir . besides what i have observed that in last five years midcap/multicaps have given more returns in comparison with their large cap counterparts . Fundmanagers seem to be more flexible in selecting stocks when they have to choose from BSE 500 than BSE 100/200 . perhaps this is the reason why sbi emerging business still is on the top . i may be holding some wrong ideas . kindly make me understand . Please increase your investment horizon if you are serious about investing in equity mutual funds. In the short term you may lose a lot of money by investing in equity mutual funds. Large cap and large and midcap funds provide stability to your portfolio and form core. Other funds come in satellite of your portfolio. Exposure to more funds in satellite makes your portfolio highly risky. Proper diversification across funds and fund houses is required mainly to spread your risk. Over diversification by having more funds of the same fund house or similar funds of different fund houses has the potential to reduce your over all returns. While selecting the funds don’t go for flavour of the season. Select funds from a fund house with consistent track record. For selection of the funds read the post – Best Mutual Fund For SIP. Please tell me about Met smart platinum scheme… please advice me any scheme for long term SIP monthly i can invest 10000 Max. i’m planning for SIP for my child. as i’m very new to it. What is your goal of investment? Rs 1000/- appears to be a small amount for meeting any goal. can u please tell me a good and type of plan for this purpose, what is gold plan. I’m very new in this field. Avoid children plans and have a portfolio of diversified equity mutual funds. Excellent site and I appreciate your patient responses to all. I’m staying outside India and would like to invest 10-15 K per month for 3-5 years split in 2-3 SIPs. May you please suggest an one point contact who can guide me through and get the investment started immediately? I’d prefer it be done from Kolkata. Your status outside India as well as the purpose of investment is not clear. Some countries don’t like people residing there investing in India. 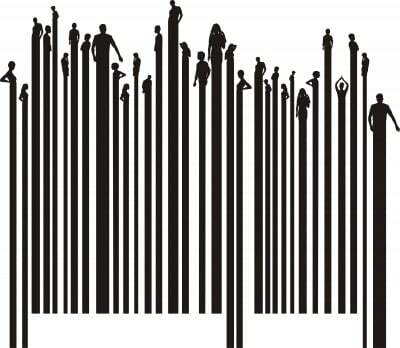 Investing in Indian mutual funds requires KYC compliance. Selection of funds depends on investment horizon. For investing in equity mutual funds your horizon should be more than five years preferably around ten years during the current difficult times. In the short term there is a possibility of losing your money. Your short term investment should only be in debt. For medium term you can go for balanced funds. i am RAJ 23yr old.just one year before i started my career in soft company. my salary is 24k per month..so i planned to invest 10k(per month) for 10 years in sip. have selected few funds according to these categories. i m very much confused about it..so give me a suggestion plz.. There is no need to ask the same thing at three places. I hope you got your answer. 1. Whether I should go for a single SIP or split it? 2. In case of a split how many large cap and mid cap plans? 3. Is it more profitable if you go for longer tenures like 10,15 years compared to 5 years? 4. Which gives more stability: Large cap or Mid cap? Invest in four to five funds to spread your risk. Diversify across fund houses and types of funds. Select one large cap, one large and midcap, one multicap and one mid and small cap. Longer tenures can give higher returns and reduce short term risk. Large cap funds provide stability and mid and small cap funds have a potential to give higher returns. As I am not well versed with SIP plans can you please suggest me some from the “Best Systematic Investment Plans in India” list in the article along with which plan falls in which “cap” category. I read the post and I must say it is an excellent article. I am actually bit of an SBI man but could not find any of its plan in the article. Can you please tell me “SBI Magnum Global Fund” falls in which “cap” category? While selecting funds for your portfolio only top rated funds based on present and past performance of good fund houses should be selected. SBI Fund house does not have a high rating as it has very few good funds. SBI Magnum Global is a mid and small cap fund with three star rating. When so many five star rating funds of this category are available, it does not make any sense to invest in this fund. I would like to tell you that while investing it is not good to be attached to a particular fund house. Diversification across various fund houses is a must to spread your risk. I will be extremely grateful if you can give some comments on the above portfolio. Your fund selection is very good. In the mid and small cap space IDFC Premier Equity and Birla Sunlife Dividend Yield Plus currently enjoy a higher rating than Birla Sunlife Pure Value. So you can perhaps look at one of these funds. I would also like to mention here that it is quite possible that the funds which are highly rated now may lose their rating in future. So it is not correct to sit tight on your portfolio after starting your investments. It is important to keep a track of your funds and review the performance of all funds in your portfolio at least once a year so that you can weed out any non performing fund before it is too late. Thanks again for such a wonderful reply. Ideally for how long should I invest in the above portfolio? Maybe 10 years? What is your opinion about “SBI Magnum Emerging Business (G)” plan? It is ranked 1 in “Small & Mid Cap” by moneycontrol.com. Investment horizon of ten years will be fine. SBI Magnum Emerging Businesses is a good fund with a four star rating. IDFC Premier Equity and Birla Sunlife Dividend Yield Plus Funds have a five star rating. Top 10% funds come under 5 five star rating and next 22.5% come under four star rating. As I have already mentioned these ratings can change with time. Hence tracking your funds after starting investments is the key. I am staying away from India for the last 3 4 years and i am 27 years old. I have 3 basic questions. 1) I am planning to invest two bonds 5000 for 5-6 years and 10000 for 15 years. Please suggest me the best way for doing. 2) Also can you please suggest whether you can only make articles or can also work as a adviser in case if want to invest from you. 3) By going through the comments i have hear somany new words like Debt funds, Equity funds…. also i have read that debt funds will give less returns but secured.. where as equity funds will give more returns but not secured… is it correct. As you are staying outside India. I am sure you wouldnt have any setup in India. Normally start up will require one time process like KYC, PAN etc. As NRI, I will not prefer to invest in bonds, as we have lot many restrictions on investments and then high Tax Rate. I will suggest invest in MF (incase you are not good in stock market). Again, first time process is big long but once everything is setup, it easy to maintain and tracked down. I am NRI, i started investing around mid 2011. I went through sharekhan to set up accounts, KYC etc. Now, i have online access to all MF & Stocks so i control them on internet. You may find information on equity & Debt fund on moneycontrol.com. They have a blog where you can find more information. I have PAN and was having a DEMAT account in India. I wanted to know the best way to get some knowledge on all the technical terms and want to start invest. as you have suggested i was going through various blogs but felt like it would be better taking a session from Advisor is kindof useful. Could you please tell me that if I invest 10000 this year in ELSS and lock for say 5 years from this year(2011),then should I pay 10000 every year till the fifth year ? So for this year investment ,I can get a tax exemption.But consecutive years what would be the case and how should I go about? I am 30 years old. My goal is for 2 crore rupees in 20 years. I am investing SIP 4000/- in HDFC Top 200 and 2000/- in Reliance Regular Saving. Please suggest, which more fund I should select and how much amount need to invest to achieve my goal. Your aim should be to save as much as you can and invest in a portfolio of diversified equity mutual funds in a systematic manner. For selection of funds read the post – Best Mutual Fund For SIP. 30 is a perfect age to start serious investing & SIP is a great way to invest. But you should not limit your horizon to 10 years – investments should be linked to the goals. If your planned retirement is at age of 55 – your investment horizon should be 25 years or even more. If you talk about individual funds that you have selected – they all have delivered decent performance. But as a portfolio they are not right combination HDFC equity is a Multi Cap Fund & others are mid cap Fund. As you are young you can take such risk but as you are a new to the Mutual Fund World you should replace a Midcap Fund with Large Cap Fund. You can buy these SIPs through some local agent, your bank or even directly from asset Management Company. Thanks for sharing the valuable knowledge. That’s true Reliance Regular Savings Fund is not performing good in last 1 year – it has given -20.5% returns but multi cap category has given -16.8% & Sensex is down by 15.3%. In equity market, where the game is of inches this difference looks like miles. But do you know what’s the actual problem with Reliance Regular Savings Fund – that’s YOU. Why? Because your focus is on best fund – which is just a myth. You have asked “advice me the other best Reliance plan if exists (or) Best to exit from it”. So I will reply to this answer next year – same date because it easy to see in past & tell which was the best performing fund. Do you know “Average Equity markets in US have given return of 9.14% from 1991 to 2010 but what investor got was just 3.27%.” Can you guess why this happened? Because people were looking for BEST FUNDS & not concentrating on other factors which are more important like portfolio construction, asset allocation & most important your behavior. I am Fahim, 26 year old, my salary is 22k. Only seven year remains in my current service. I am investing my savings monthly through SIP in folowing funds. 3. 1500 ICICI PRUDENTIAL LIFETIME SUPER MAXIMISER from last 5 years. Please guide me, what can I do for best returns. I think to buy RELIANCE GOLD SAVING FUND, by replacing discovery fund. Why you are saying that only 7 years are left in your retirement – are you working in merchant navy. Actual I am a defence personnel. After 7 years I want to do civil jobs as railway and banking.pls sugest me. I am new comer for plan to start mf sip of Rs/-4000 in four different fund for 10 years. Please read the post-Best Mutual Fund For SIP. I am 27 & have planned to Invest regularly in SIP of 7K per month. Also i have 1.5 Lacs with me which i can invest effortlessly to any of the good investment firms. Can you suggest how to go for this ? Need your suggestions where to invest ? i am following your article, it is really very very helpful to me and it is having valuable stuff and i would like to ask you one questions about investing the money in mutual fund in SIP manner. As of now i understood that it is good to invest in HDFC TOP 200 and now i am thinking that is it good to invest money in the mutual funds when, the Sensex floating on 16k or it’s better to wait till Sensex reaches 20000 points . i am planning to invest monthly 2000 in this scheme for long term period like 20 to 30 years, suggest me please me. Go ahead & make your investment. Thanks for ur valuable advice and now i am investing monthly(SIP) 2000 in hdfc top 200 and i Would like to invest another Rs.2,000 through SIP. It would be great help if you can suggest best plan in 2012. I am planning for long term investments and my age is 25 years and i can wait for 15 to 20 years. my age is 23 ….so what best combination of investment should i take so as to get 2 crore in 15 years..
Nobody can suggest you without knowing your income, expenses, savings, risk appetite, dependents etc. I am 25 years old and earning 50k per month. I have started investing 18k per month in SIP in various types of funds. I know that a portfolio should have a balance of equity and debt funds. As equity is taken care of, I would like to know the best debt funds available in the market. A little guidance will be helpful. You can start with some Short Term Fund – like Templeton India Short Term. Hi I am M/39 , now i want to invest in SIP , can i know which is good M.F to invest , give at least 4 , 5 ., also could u suggest any other scheme to invest and details. First of all, I would like to give you guys a heartfelt thanks for providing such gr8 knowledge in such simple language. I have just started my career 3 mnths back and was looking for planning my finances when i happened to come to TFL. Thank God for that. I’ve gone through ur E Course and most of ur articles. And now I’ve taken a term plan, a family floater med insurance and planning to start SIP from this mnth. I’m planning to start with 5k/mnth and increase to 10k in 1 yr. I also wanted to put SIP in ELSS, but waiting for it to become clearer after DTC. I’m 27/ professional, married looking at long term investment (15- 20 yrs+). I would be glad if you could comment on my selection of MFs/ my approach. Your selections of MF are good. Please replace Birla Sunlife Pure Value with Birla Sunlife Dividend Yield Fund. Thanks Aroraji for your suggestion. I have few queries regarding SIP in mutual funds. 1. Are the SIP schemes come with lock in period? be tax implication in this case? i am a beginner in investing. i want to know how get maximum of my hard earn money. I have cash in saving A/C upto 1 lakhs, which i may need for my disposal in leas that 2-3 months, how can i use thsi in relation to an SIP or u have anyother option. I would like discuss this article along with the other one ‘Eighth Wonder of the World’ against investing in PPF. Q1) I am wondering where is the concept of compounding comes in SIP and it works just based on the Rupee Cost Average rule only. I think Reinvesting the profit / interest is NOT considered as Compounding. SIP yields good returns because of the volatility nature of equity markets. This gives best returns only if there is extreme volatility and if the market goes with minimal volatility you end up in less profit. Also even in SIP we need to make a close monitoring and come out of it once we reaches our targeted returns. Otherwise there is chance that our profits will get eroded in a quick time and you need to wait minimum 3 to 4 years for the Rupee Cost Averaging happens again. I personally experienced this. No mutual fund company declares interest compounding interest annually like PPF. Q2) On the other side if you take PPF this removes all of the above issues like close monitoring etc and I believe only PPF alone gives the real benefit of compounding besides tax benefits. No other instruments exists to match this. Do you think any other financial instruments / methods exists to give the same return as if i invest Rs 1000 every month for 25 to 35 years in PPF continuously. Q3) Also is there is any mutual fund exists for more than 25 years like PPF? The reason behind this question is i have seen many good funds like Magnum contra , reliance vision , growth are all considered to be the best mutual funds across the globe but if you see their current ratings it all dropped to three str ratings. I am not sure whether the fund houses will keep them or close them in next few years. So even it i performs the power of compounding may get abruptly get closed by the fund houses. But in PPF the probability of happening this would be very less and this scheme exits already for more than several decades. I sincerely request you to validate my thoughts and provide clear directions on this topic with your detailed analysis. Q1. You rightly said but how we can compare 2 products – returns are always mentioned in CAGR (compounded annualised growth rate). Just think of school days when we were asked to compare length of train with length of car or any other measurement. So when we have to compare returns of 2 investment products compounding can be used. Secondly what is compounding? Compounding is getting returns on returns on this basis equities have daily compounding. For Eg if you invest Rs 100 today & you get return of 1% on 1st feb, your money will turn into Rs 101. Next day you returns will get returns on 100+1 so this is compounding. Q2. PPF is a awesome long term debt investment but we can’t compare it with equity returns. Q3. If you would like to avoid fund management risk – you can invest in Index funds or ETFs. Plz put your comment on sowmi matter. I am planning to start the SIP but by reading this again stopped and confused. I am surprised why none of my questions are answered so far by you. I know there is NO FREE LUNCH in this world and we can not ask solutions in the open forum like this. I fully agree it is unethical and not a professional way too. In my view so far i haven’t asked anything similar to this and even in the above article i compared PPF against Equity SIP concept because I really got confused and i feel we need to remove some misconception. Otherwise we all end up like Ranjana. Hope you agree. thank you hemant.. for subscribing and helping..i also want to become a good financial planer and want to make other people life financially better.i did mba in finance. pls give me your valuable guidelines to fulfil my dream,my vision.,i alsowant to that should we invest in gold fund or gold etf ? what is the difference between them.and which have more returns? i have hdfc insurance standerd plan for 15 yr, i think to be contineu are close after 3 yr. pl suggest….. I have replied your question. It is not that I don’t want to reply your questions but I have limited time – there are still 126 comments that are un-replied & may be 20-30 emails 🙁 I told you that I will reply your queries by Sunday but unexpectedly there were 100 new comments on latest articles. If you still have any question, feel free to ask. i am not much aware abt investments. I follow the traditional method of investing through LIC i want to change my investment pattern. I want to know how could I save in best manner and which policy will be best for investing in my daughters future. She is now 6 and i want to Invest to secure her Higher schooling education and Futher studies. My current monthly income is 35000. Out of this i can spare around 10000 for investment. Can u guide me for best investment plans? My monthly income is 15000/- out of which I can save 1000/-, can you please recommend any good SIP mutual fund to invest. To start with you can go for HDFC Prudence Fund. i want to know whether any bank are offering sip facility in ppf .thank you. You should check with ICICI. i want to invest in sip….which sip will be best in present time…plz suggest i m very confused….by the wayi hav heard about HDFC top 200…it will b fine…??? Its good – go ahead. Thank you.But i am unable to find it in icici website. Am planning to save every month 1000 rupees but confused the best place to save/ Invest for can you please help me out. I am 22 years old, I want to invest 200o per month for 2 years max (short term).Since my time period is short term(2 years), I guess I need to go for debt funds can you please suggest few. 1. Whether I can increase the SIP amount in the future (for eg. instead of 2000 ,can I increase my SIP amt to 2500)? 2. If I withdraw after 2 years, will there be any exit loads or other charges? You can increase SIP in future but in case of redemption exit loads will be applicable depending on the fund that you choose. Hemant, this question is from a NEW parent !!! I had a baby girl 5 months back, I can afford to invest 5 lakhs immediately for her & 60,000 every month. Where & how should I invest also keeping in mind that I must ensure an insurance for her to protect her investment. The aim is to invest for her education. Love & luck to you always…. This site is very interesting and i would like to frequently visit this site and recommend other beginners as well. Please register my id in this site so that i get regular updates and new posts on this site. I need 15 lakhs at the end of 15 years from now. Kindly let me know which are the investment vehicles I should chose and how much should I invest per month ? I need an approx. figures. You can do some hit & trial on the calculator given on this page. i am of 25yrs age,wants to invest 3000pm in diff saving plans 1000 each which cover tax benifits,give good returns in next 3-5,10 yrs. First of all let me tell this, U are doing an awesome job. This website & forum is very informative & helpful for investors like us. Hemant, I am an NRI & I am planning to invest in few top funds through SIP. I have zeroed in on HDFC Top 200, DSP BR equity, SBI Magnum Emerging busi (G). 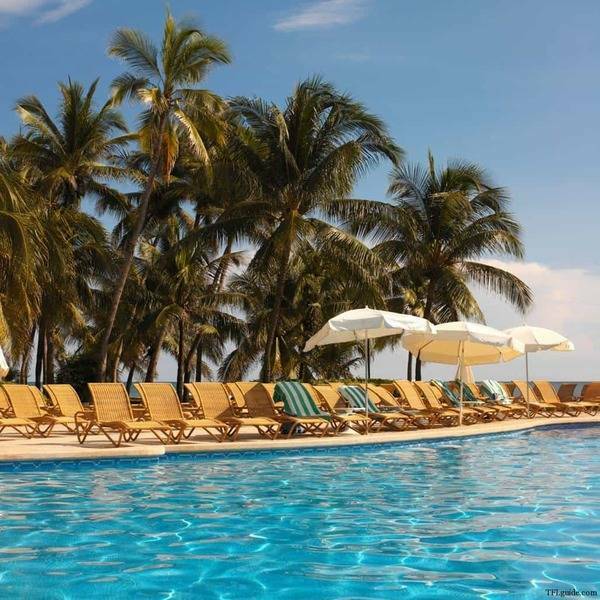 I am able to invest around 18000 per month. Please suggest a couple more consistent performing funds & how I should break-up my investment. I have Rs: 40,000 /- in SBI Magnum Multipler Plus scheme. I had started SIP in this fund last year. As this fund is not doing much, I have stopped SIP in this fund and need to move this money out and invest in some other fund. I cannot move the complete money out as there will be an exit load. Can i do STP and move this money every month in a debt / liquid fund? So later when market goes down i can again start an STP from debt to some better SBI Equity fund. Is this a good approach? When we do STP every month from this fund, will there be STT applicable every month? Please advice if there is any other way i can invest this money for better returns? Tax Benefit is available only on schemes categorized as ELSS or Equity linked savings schemes. Last week we had a chance to make a presentation on the finance part to employees/colleagues for tax month.When i informed the magic of SIP and how 1 paise turns to 2.1 crores in 30 days everyone was literally struggling with heart attack as they cant believe the power of SIP.Just to inform that u may be bogged with lot of questions as around 150-250 people would become ur TFL follower in the coming weeks as i shared them i get to know from TFL. Thanks guys!! you rock !! How exactly this works please? I advised my children to start SIP to be prepared for their children’s education.There is still a time frame of nearly 8-10 years. HDFC Equity plan,HDFC Top200,IDFC Premier Equity Fund and Sundaram Midcap were the funds selected. Morethan 2 years down the line I find that the Fund value is below the invested amount , but I think ,they still have enough time to recover . Is it advisible to invest through SIP route for shorter than 3 years spread ,given the condition that money can only be spared monthly? Are SIP entertained in Debt Funds. Does bank / post office RTD form a better altrnative for shorter horizons? Your article is really good and informative.My compliments. Do you think PMS (Portfolio Management Services) offered by many pseudo specialists though SEBI registered, a reliable way of investing.I find once a person invest with them ,he becomes captive sufferer and the serving agency a parasite ,for they keep getting their annual charges irrespective of the performance. I will love to see an artivle on PMS form you.I am sure it will help further explotation of Investors by self proclamed duly certified specialist houses with bignames. – I suggest you pick one of the two short-listed HDFC funds and replace the other with ICICI bluechip or DSP Top 100. – SIP is the best way to invest in MFs for any duration of time. You can invest money in debt funds through SIP as well. – FDs are the safest option for short term. You may opt for short-term debt funds but all MFs carry some risk. – My personal opinion is to stay away from PMS precisely due to the example you have shared. You can earn better by educating and investing yourself. I would be very thankful to you if you let me know about my planning to get Rs.50K PM to meet my monthly expences by doing above. Kindly Advise if the above funds are OK. If not, Kindly advise which ones to select, so that my Investment should be SAFE. I am 28 & have planned to Invest regularly in SIP of 2,000 per month. If you are investing for the first time I suggest you start with a balanced fund like HDFC Balanced or HDFC Prudence. 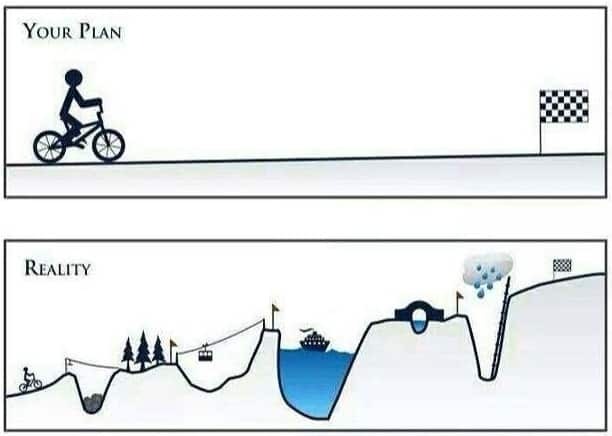 There is no such thing called the best plan my friend. You need to invest based on your risk appetite and most important thing is to regularly monitor the performance of your MF. I was fortunate enough to come across such an interesting site , i am new to SIP/Mutual fund investments .. I am 27 yrs old , have a ongoing homeloan for 20 years .I’m planning for multiple SIPs ( All together of rs.20,000 / Month ) . After all calculations (like deducting my home/car/ loan , ppf, etc…) , 20k / m could be my max saving . 2.For my retirement 5000/M for retirement for 30 years . 3.Kids education planning 10000/M for 15 years . 4.Invest all my savings only to SIPs ..
Hemant/Anil/Guys.. can u please advise me on this . Yes, your idea to pursue goal based investing is very good. Ensure that you follow core-satellite approach [there is a separate article on this blog] and your investments are well diversified. Once done keep monitoring your funds regularly and get rid of any non-performing funds. Very wonderful presentation on SIP…. Your language is really simple enough to understand investors, IFAs and CFP aspirants easily. I am an IFA from Rourkela and is CFP aspirant too. I have gone through Video SIP Presentations in your articles presented by DSP Black Rock and Tata MFs. Can I have SIP Presentation in form of PDF or PPT format (without mentioning AMC’s name). I need it to enable myself to make presentation to my investors without refering AMC’s name. Thanks Ravi but its not right using someone’s presentation without giving credit. I am just 27years old and this is my portfolio.kindly suggest, m i doing good? my capacity of saving is just 12000 per month…. Articles are really helpful in planning w.r.t finance planning. Thanks for publishing. One question can you let us know regarding Systematic Withdraw Plan or how to terminate a SIP.? If i have started SIP in 2009 and want to withdrawn in 2013 does returns attract Tax for it? You can withdraw from SIP anytime but you might have to pay exit load for withdrawing within a specific period.Since, every installment is afresh investment you will have to ensure your last installment completes this time horizon. For taxation, any installment which do not completes one year of investment will attract short term capital gains tax. I am 30 yrs old. Now I want to start SIP investments for longterm. Can you please suggest the best fund to invest. Which can cater my longterm goals, child education and post retirement needs. I am interested to invest in SIP, but right now i am investing in LIC Market Plus-1,the period for that investment is 10 years, now 3 years completed.At the time of investment the nav value is 10 ,now it’s value is 13.12. my doubt is shall continue that plan or cancel that one and start new SIP? which is best option? which will give best returns? if sip is the option my investment is 3000 per month. it is like a well of information…………………………………………..
Can you pls help me in Financial planning? Sad that I recognised the need very late. But late than never. i just want to invest Rs. 5000/- p.m. in SIP for 3-5 years. so, pl. advice me the name some good SIP for investment. i want to make investment of 500Rs p.m in sip. Hai Hemant . The article is very informative and really helps a person like me to know How an SIP works. I am 29 Yrs old and I would like to invest in SIP. Will you please help me by suggesting Top performing SIPs in last 10yrs in which I could invest. My budget for SIP investment is Rs 3000/pm. The investment is mainly for my daughter’s education expenses and marriage. You can consider Reliance and HDFC which accept SIP amount of Rs 500 p.m.
First of all I would like to thank you for sharing indepth knowledge with us. I am 20 years old and would like to invest around 1000 rupees monthly.Is it worth investing just 1000 bucks monthly.What will be the best way to invest the said amount. Good to see learning personal finance at your age. You can start with this amount and enhance it as you get familiar with this option. As i am 26yrs and i am looking for a best investment plan. As a beginner pls let me know about SIP investment,how to apply in it and what are these hdfc top 200 & dsp black rock. My investment will be in monthly basis and do tell me the benefits and earning and duration of the plan.Waiting for your response. You can do it online through respective company website or through any intermediary if you want to invest it online and understand the schemes. The duration of any SIP investment should be your objective. Generally, at your age this is a most viable option for long term planning.. Any goals which has a horizon of min 7-10 years can be considered for investing through SIP.Do remember that the longer is your horizon the higher benefits you derive from this option. I would like to invest monthly 10000. Is that fine if I invest monthly 5000 in HDFC equity fund for a period of 12 years and monthly 5000 in HDFC Top 200 for a period of 10 years. Please advice. Although both funds have their performance track record, its good to diversify among two companies. Very good article for the beginner and good questions and answers. My question is how to know the fund we are selecting is Mid cap or large cap, there are hundreds of fund in the market. Can you suggest me any good website where funds are catteries and there ranks. i m a haryana govt. employee since april 2011 and my basic is at present is 15240 rs. and now d.a. is 72% . D.A. increases after every six months. our contribution in nps is 10% of basic+d.a. my retirement date is 31-o8-2042. so please tell me the total amount and approx. pension at the the time of retirement. NPS is a market linked product and so its difficult to estimate any corpus accumulation.You can use the SIP calculators available at most website to assess what you can achieve with a certain return assumptions. Hai Hemant . The article is very informative and really helps a person like me to know How a SIP works. I am 34Yrs old and I would like to invest in SIP, iam new to it. Will you please help me by suggest in which I could invest. My budget for SIP investment is Rs 2000/pm. The investment is mainly for my son’s education expenses.He is 10 year old, last year I took LIC Komal Jeevan, is it good, the premium is 15000 for 10 years..please suggest me regarding this, and is it pan card necessary for SIP. Where to contact in Mysore.Waiting for your valuable comments. Komal Jeevan is a traditional plan which fetches you lower returns not even beating inflation. Review it wrt your goal and then take a decision. Now KYC is manadatory in which you will have to provide PAN no. I am 34Yrs old and I would like to invest in SIP, iam new to it. Will you please help me or suggest me in which I could invest. My budget for SIP investment is Rs 2000/pm. The investment is mainly for my son’s education expenses.He is 10 year old, last year I took LIC Komal Jeevan, is it good, the premium is 15000/year for 10 years..please suggest me regarding this, and is it pan card necessary for SIP. Where to contact in Mysore.Waiting for your valuable comments. I was in the stock market for the last 5 years (age: 40), buying stocks, booking the profits early and again entering in to the same stock high level and booking losses, so what I learned these last 5years is emotional control in the stock market is key factor and its very difficult for small investor like me. So I learned the SIP is the best way to create wealth over the long run. I am already investing Rs 10k as SIP in 2 funds, I would like to invest more Rs 50k PM in other funds as a SIP? how many funds is better for my amount? average how many funds are better in the portfolio for the amount I mentioned? More than funds its necessary to have a proper diversification.If you have too many funds from same category then it will not benefit you. Aim to have a diversified portfolio. I chanced upon your site and it gives a lot of good information. I have a Q on the SIP, Does NRI get a chance to invest in them? If so how do we submit forms and establish accounts for doing this? What is the best way of switching from current regular plan to Direct Plan, avoiding exit load, STT etc? and starting a Direct Plan in the very same folio? Hi Hemant, Very good article . I wanted to ask you about sip. I have done some investment in mutual fund through sip rought , which i had stop in september 2013 for some reason and now planning to start then again or may put this six to nine month amount in liquid fund and may wait for write opportunity for market to come down. I wanted to ask that in those sip invest since last 2 years i was only able to see return of 4% or 6% and now because of this really in market my investment have given return of 12% XIIR , So should i book profit of between 30% to 50% or should i book 100% profit. I am saving this money for my child education and do not need this money for may be next 10 years. His age is 6 years and have just come in 1st std. And this investment is form his education only. 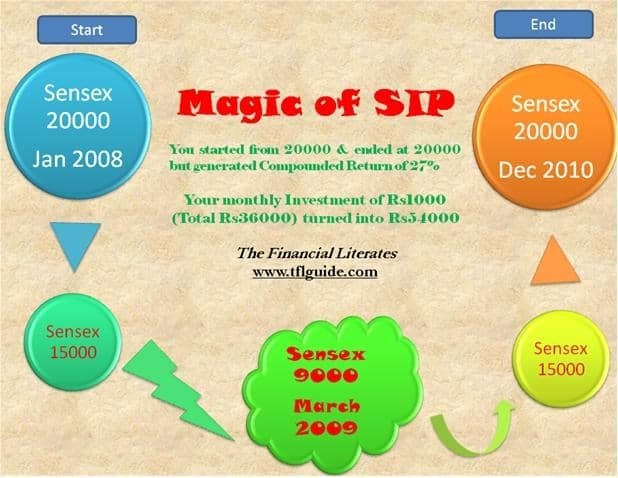 I have been doing sip since 2007 , started with 3.5k and since last 2010 i have been investing around 18500 in sip . which was stop and will be starting soon. My returns : In my wife account as on 14th may (8lac have grown 10lac ) in this account few fund was been started in 2010 and new in 2011 . In my account : 181000 have been grown to 326000 , in my account most of the fund amount is been saved my sip root only which was been stop in 2009. Biswadeep Roy Hi Hamant very good artical .I want to ask you about SIP.I have done some investment mutual fund rought SIP.IDBI TOP 100 fund.The fund is better or not. First of all I am very-very thankful for your this type of extremely useful article which will definitely help people to invest money in this increasing inflation. Sir, I an 30 yrs old and have 4000/- spare and I wanna invest in SIP for 8-10 yrs can you please help me that in which SIP should I invest and how much money . I have an amount of 1,00,000/- and want proper investment please help me for great profit. It’s good that as a student early in life you are considering growing your savings. If you are going to keep these contributions going for a long term you can choose balanced funds. Comparing returns have been a major issue for me as I couldn’t come across any research site for a single fund during a specific period. Combining details available in different websites is a time-consuming task. Thank you for your enlightening me! I didn’t know that a top performing SIP is different from a top performing mutual fund. Thanks for the artical, iam new to SIP not getting how the amount is calculated, iam investing 1000 on Birla sunlife, how much will i get after 20 yrs. kindly do needful. any one can help me about how to start investment in any mutual fund . and i want to know process. Wow – what an article Hemant Ji.